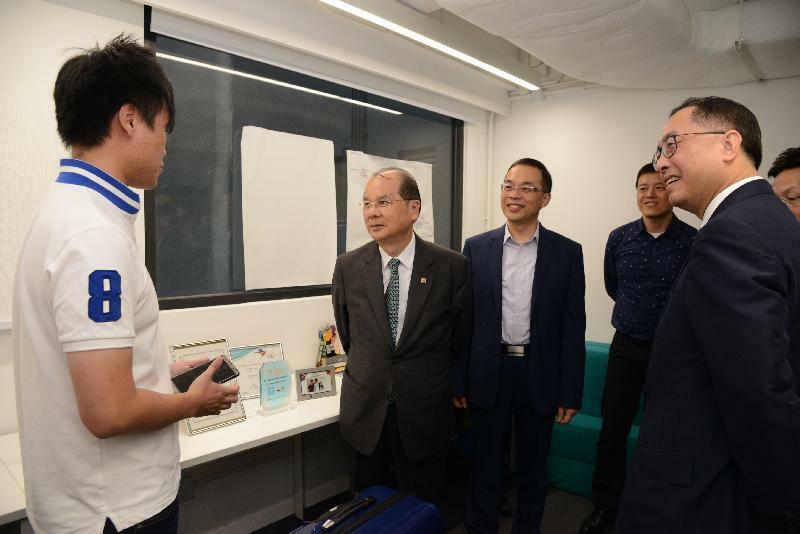 The Chief Secretary for Administration, Mr Matthew Cheung Kin-chung, and the Secretary for Innovation and Technology, Mr Nicholas W Yang, visited Southern District on 26 October to be provided with the latest update on the development of start-ups and the local arts industry. 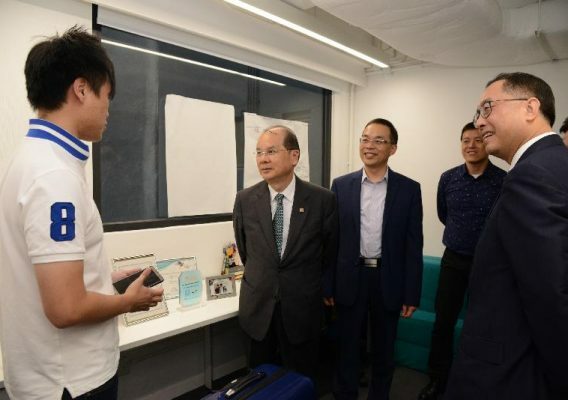 They visited the Hong Kong Federation of Youth Groups Jockey Club Social Innovation Centre to understand how the Centre helps drive youths’ inspiration for innovation and entrepreneurship through the provision of co-working space, training and incubation programmes. 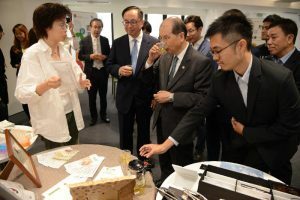 In addition to providing office facilities, the Centre also helps social innovation enterprises and youth start-ups expand their networks, identifies suitable investors and organises events and workshops to promote social innovation.